Most of New Zealand’s public, commercial and church architecture has followed international styles. John Scott’s Futuna Chapel was one of the first major buildings to reference Māori architecture, along with other local styles. The buildings of early European settlers in New Zealand followed British architectural fashions. Commercial and church buildings were designed in classical revival and Gothic revival styles. These styles were associated with permanence and stability, so they were favoured by banks and government buildings. Bishop George Selwyn built wooden churches in the Gothic revival style. As towns grew, wooden buildings were replaced by stone and masonry ones. Leonard Terry designed fine commercial buildings in the Greek revival style. Gothic architecture remained common for churches. Government buildings were constructed in Wellington in the 1870s and 1880s. Ōamaru was the site of impressive classical buildings in Ōamaru stone. The New Zealand Institute of Architects was set up in 1905. Architects continued to use European revival styles, such as ornate Edwardian baroque. Spanish mission and art deco styles were popular in the 1920s and 1930s. Napier and Hastings were rebuilt in these styles after the 1931 Hawke’s Bay earthquake. In the 1930s the first modernist buildings were constructed. Modernism promoted clean, simple lines and forms, based on the idea that form follows function. Austrian immigrant Ernst Plischke designed New Zealand’s first curtain-wall (glass-clad) skyscraper, Massey House in Wellington. 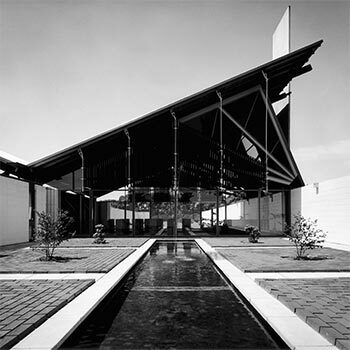 Government architect Gordon Wilson also designed modernist buildings for government offices. John Scott’s Futuna Chapel in Wellington referenced Māori whare, woolsheds and timber Gothic architecture. From the 1960s architects like Miles Warren designed buildings in the brutalist style, often using concrete. Office tower buildings were constructed in cities in the 1970s and 1980s. Postmodernism – which drew playfully on earlier styles – became fashionable. New public buildings included the Beehive (Parliament’s Executive Wing, 1982), Wellington Public Library (1994), the new national museum, Te Papa (1998) and the extension to Auckland City Art Gallery (2011). In the early 2000s architects designed buildings that were more environmentally friendly.